Have you ever been confused about how to use essential oils? Can we use them during pregnancy, are they safe around children, what’s an inhalation, are they safe to ingest? Essential Oils 101 is an online course that aims to address those questions and so much more. 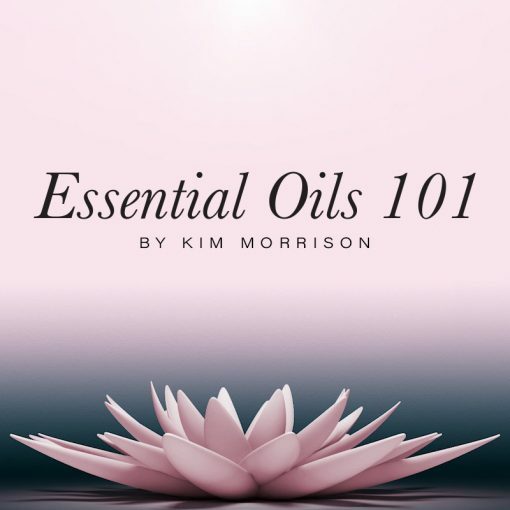 Click to watch Kim Morrison talking about Essential Oils 101. I know that many of you have been yearning to know more about essential oils and how to use them safely. To this end I am thrilled to announce my new online education course ‘Essential Oils 101’! I created Twenty8 because I was inspired by my love of educating people on the use of essential oils and chemical-free beauty products. At the time there were a number of natural product ranges on the market that included essential oils, however, I wanted to create a range with a strong focus on the unique qualities and benefits of essential oils. As the next step in this incredible journey I wanted to create an education course that’s easy to follow and accessible but also comprehensive enough to equip everyone with the skills and knowledge on how to use essential oils. That is what I have created in ‘Essential Oils 101’. The program guides you through a series of online modules and e-learning videos that will provide a comprehensive education on the use of essential oils and aromatherapy to transform your life within a health and wellness perspective. This course is also ideal for those who want to effectively sell essential oils as a part of their business. Whether you are searching for something new, have a full on career, are presently studying, you are a stay at home mum, have a desire to learn or have your own business this course has been designed to fit in with, and enhance, your busy schedule. In this module, we delve into the ancient modality of aromatherapy, and look at the fact that essential oils have been used for thousands of years for health, healing and beauty. We also look into the intricate and powerful nature of such potent and complex compounds, discover what they are, how they have been used and why they are seen as unique plant extracts. This module is all about the properties of essential oils and understanding the importance of their purity. Even though aromatherapy is a natural therapy it does not mean you can abuse it, or that you cannot cause harm. In this module we will look at the safety and main areas of concern for general use. We delve into the methods of extraction and why the quality of essential oils will indeed affect the therapeutic effects. In this module we look at the various ways to use essential oils. We look at how to make blends for various remedies and delve into the main ways including, topically, through inhaling and orally. We learn all about my signature ritual– the Daily Body Boost. This is a ritual I have completed everyday since I was 19years old. In this module we investigate how aromatherapy actually works, what an essential oil is and how through the “Doctrine of Signatures” everything in nature is connected to us. We also see the similar characteristics and properties of essential oils and then break down 50 of the most common essential oils on the market today. In this module, we will look into the art of blending, understanding what carrier oils are and learn how to make a well-rounded prescriptive blend. We will explore the fundamentals of blending, using the perfumery guide of top, middle and base notes. I have included some of my favorite synergy blends to get you started! In this final module, we look at how aromatherapy can be used as a first aid tool supporting the body to heal with everyday remedies and applications. We look at the three levels of healthcare – allopathic, alternative and alternate. We check out other first aid remedies for the home, and we finish by exploring a variety of complimentary alternate therapies to support you in your wellness journey. Kim’s courses have enabled me to incorporate essential oils into my family’s life, and the impact has been profound. Thank you for creating these amazing programs! Thank you SO MUCH! You have opened my eyes to a world of possibilities, and helped me overcome barriers and challenges that have plagued me for years! You’re a shining star. Using essential oils while studying has helped me keep focus and ultimately achieve better results. Thank you for making the power and use of essential oils so easy to understand. 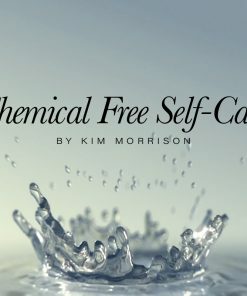 'Chemical Free Self-Care' is an online course that will help you understand the impact of harmful chemicals found in the products we use every day and guide you on how you can limit your chemical exposure.